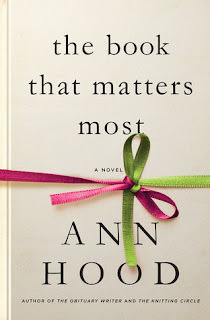 Ann Hood’s seventh novel is a moving, intricate story about loss, healing, and the value of critical thinking. A year after being left by her husband, Ava is still reeling from the grief of separation, which brought back the pain of losing her sister and mother early in life. In order to branch out and meet new people, Ava joins a book club where each member must choose a book that matters most to them for the group to discuss. Hood’s novel is rich with pleasures, and will no doubt launch a thousand book club discussions.